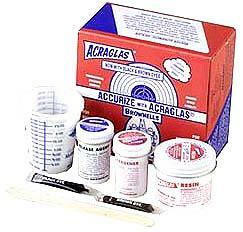 Professional quality accurizing bedding kit for gunsmith and hobbyist nationally advertised acraglas provides the professional or amateur gunsmith and home hobbyist with an easy to use superior bedding compound, specially designed and manufactured to make his rifle shoot more accurately. An accurizing that has been tested and proven by many military and individual shooters and teams. Shelf life of 7 to 10 years.